We regularly cover the best celebrity engagement rings, bridal dresses, and wedding guest outfits, so naturally, we wouldn't stop at celeb honeymoons. 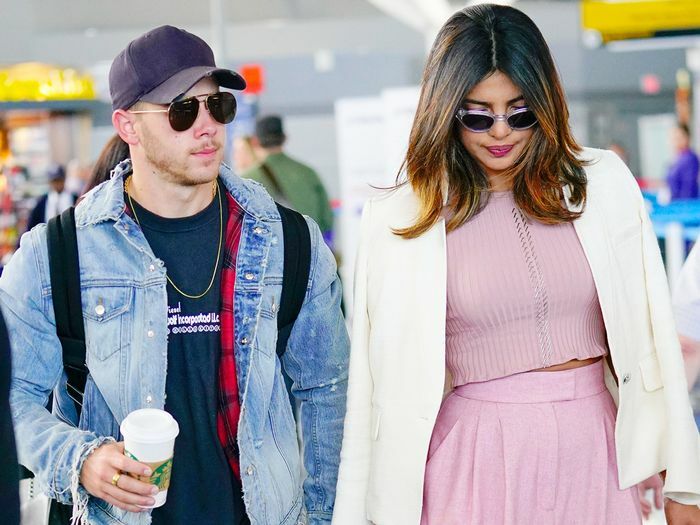 Priyanka Chopra and Nick Jonas's recent Caribbean honeymoon sparked an idea to find out what other stars wear on their special trips. Their packing lists are bound to inspire you whether you're headed down the aisle or just have a vacation planned. In a sweet Instagram on her post-wedding tropical trip, Chopra wore the Caroline Constas Kaia Dress ($795). It has since sold out, but I found some worthy alternatives if you're in the market for a floral dress. Gwyneth Paltrow, Serena Williams, and Julianne Hough also headed to warm destinations for their honeymoons, but tropical places are definitely not the only option. Kaley Cuoco and her new husband, for instance, traveled to Switzerland in December, where they bundled up for the snow. Scroll down to see what five celebrities wore on their honeymoons and to shop similar looks. Next, these nine winter getaways are officially It girl–approved.